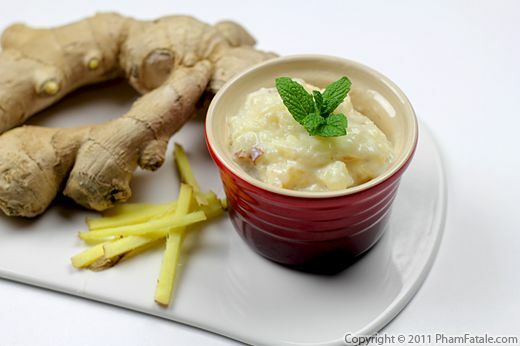 Ginger rice tea drink is our natural way to treat the beginning of a cold. 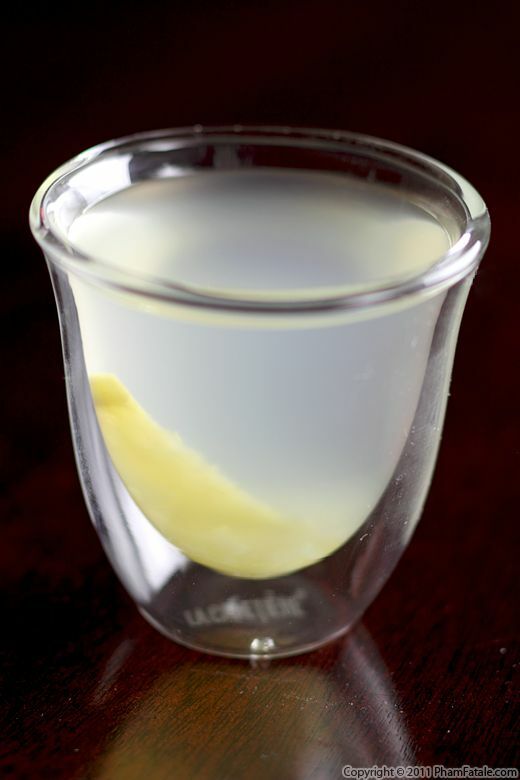 On top of being delicious, the drink contains all the ingredients that are taught of as healing in Asian culture. I thickened the drink using the starch from rice and flavored it with fresh ginger, honey and turmeric. If you follow me on Twitter or Facebook, you've probably noticed that my husband Lulu and I have been traveling quite a bit. We were in Las Vegas last week and we left last Saturday for to go to Texas. Lulu felt a little under the weather, so just before leaving I concocted this delicious ginger drink so he could be completely energized for our next trip. I'm certainly no doctor, but at the very least it cheered him up! 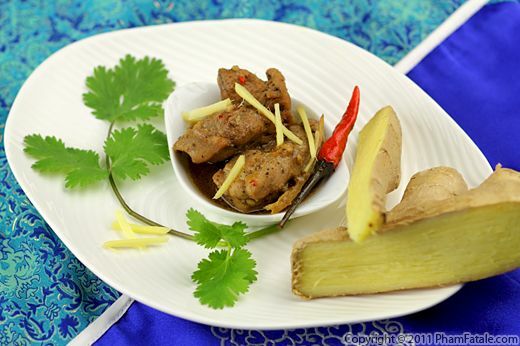 Ginger chicken, called "gà kho gừng" in Vietnamese, is a very flavorful caramelized chicken dish. Like many Vietnamese dishes, ginger chicken is a quick and easy meat entree to make when I'm in a hurry. 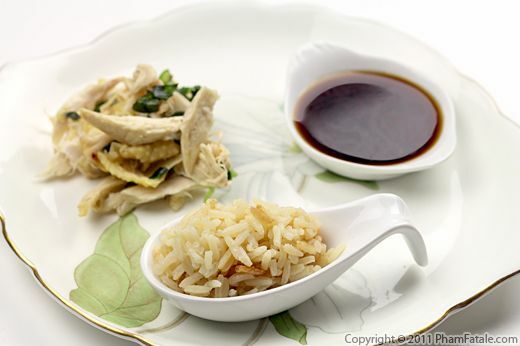 The caramel is formed with honey and coconut soda, the chicken is coated until slightly browned and finally the dish is flavored with shredded fresh ginger. This time, in addition to the jasmine rice that we always have ready in the rice cooker, I served some greens alongside the chicken. The result is an almost effortless, delicious meal. I like that! I am a big fan of both gingerbread and cornbread. 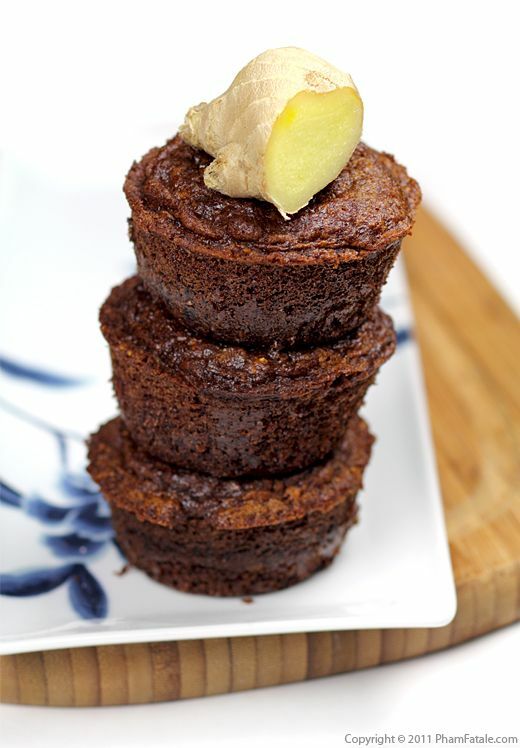 I thought it would be fun to combine the flavors of the two, and so my ginger honey cornbread was born. I decided to go all out with intense ginger flavor, so I used freshly grated ginger, candied ginger, root beer and last but not least ginger honey. The result is a strong, mildly spicy cornbread, which we absolutely loved. It's fairly simple to make, easy to transport and can be made a day in advance.